If you’re like me and driving a car that’s over ten years old, you probably love the car-payment-free life. But at over 200 thousand miles, my beloved Honda Accord is starting to show her age. I’ve always been good about regular maintenance like oil changes and tune-ups. But what else can I do to keep the old girl running her best? 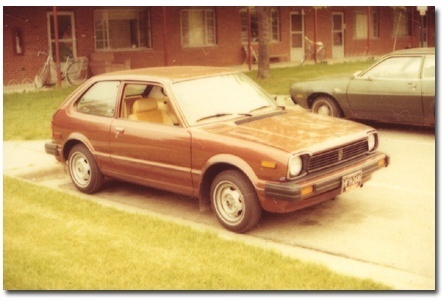 If your older car has been good to you, return the favor. Antique, classic or vintage cars that are over 40 years old require their own special level of TLC. But for cars that are between 10 and 20 years old, here are a few tips to erase some signs of aging both cosmetically and under the hood. Get your steering and suspension checked regularly. The more you drive over uneven terrain (I swear that pothole jumped out of nowhere!) the more bruises your trusty old suspension will suffer. Keep your power steering fluid fresh and have those bearings and struts checked. Fixing all the parts that keep you driving straight can prevent a large repair bill all at once. Your wipers should definitely be on the regular must-replace list. Also, try checking and replacing cracked or broken rubber seals on doors and sunroofs. These can wear over time and create leaks that could let heat out and cold and water in. If they’re brittle or breaking definitely fix ’em up to prevent damage down the road. And don’t forget those tires! 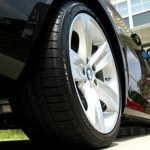 New tires can make a world of difference in how your car performs. Consider upgrading to wider or higher-performance tires if you really want to step up your car’s output. Choose the octane listed in your owner’s manual. It might be tempting to upgrade to a premium fuel as you rack up those miles, but there really is no need. Unless you’re driving a car that requires the highest fuel grade, stick to what your car knows. And if you’re worried about knocking, bear in mind that modern engines are capable of adapting to varying fuel grades. According to Edmunds.com: “Today, engine control systems can compensate for low octane by monitoring knock activity and adjusting ignition advance to quell the knock.” If you’re driving a pre-computer model, be aware that it’s even more important to stick to the grade suggested by the manufacturer. If you’re curious about whether you can downgrade, check out these lists of cars on Edmunds.com for which premium is required vs. recommended. When it comes to oil, the old “if it’s not broken, don’t fix it” is a good rule of thumb. Stick with the oil grade you’ve been using to prevent loosening existing build-up and gumming up your engine unnecessarily. And don’t fall for the High Mileage hype. Just like older people, older cars don’t like change—it can be disruptive and cause problems where none existed before. Recently I learned the hard way that ignoring that shaky braking situation is not good for your wallet. Not only is it dangerous to avoid regular brake maintenance, but waiting too long can cause major problems. Edmunds.com offers some great tips on how to preserve the life of your brakes, the most important of which is watching your speed. Keeping brake fluid fresh and full plus avoiding those last minute brake slams are just a few ways to ensure your stoppers are in tip top shape. Go easy on the brake pedal and you’ll avoid hefty repairs down the road! Taking care of your car’s exterior starts with a great wax job. Yes, it’s a necessary evil even for your beloved four-wheeled friend. That little protective layer between your paint and the weather can make a huge difference in preserving the life of your paint. 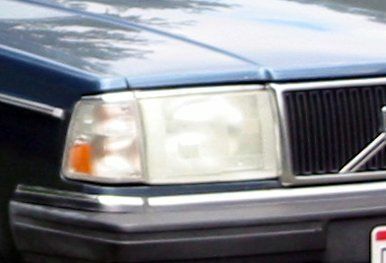 The headlamps are another problem area for older cars that can easily show their age. There are kits out there for clearing away the cloudiness and keeping your lights shining bright, and this one little step can easily improve your car’s appearance. If you’re always checking to see if your headlights are on, it’s time to polish them and see clear again. And when everything else is done, give her a good scrub down. Vacuum the interior, wipe down surfaces and use a little elbow grease to detail your car and make her look shiny and almost new, inside and out. Shine up the interior with a little Armour All, get those windows squeaky clean, polish those rims and even wipe down that hood ornament to make it glisten. A good-looking car makes a happy car (and driver)! This is a guest blog post from I DRIVE SAFELY, the largest online traffic school in the United States offering Online Driving School/ Defensive Driving, Teen and Adult Drivers Ed and Insurance Reduction courses.